Demolished - all evidence of the halt has gone at track level although the access gate on Spa Road is extant, as is the path to the down platform. It was sited in a deep cutting to the south of Spa Road bridge and comprised two timber platforms, each with a standard GWR pagoda waiting shelter in the centre. Access was by steeply inclined ramps to the north end of the platforms from Spa Road. There was also a ramp to the south end of the up platform from a footpath running along the top of the cutting behind Kings Road; this path was later taken out of use. 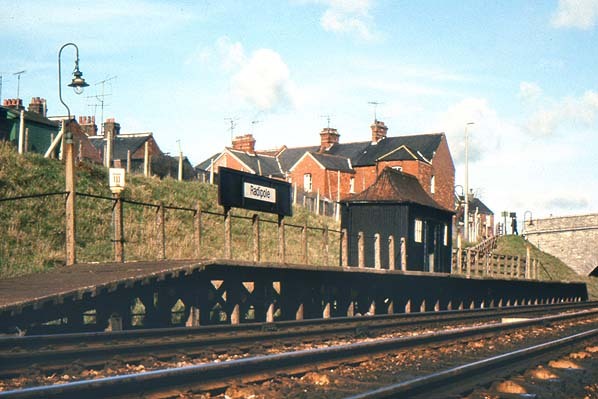 After closure of the Abbotsbury branch in 1962, Radipole Halt was still served by local trains between Weymouth and Dorchester South,and some main line services between Bristol Temple Meads and Weymouth also stopped: most of these services started at Westbury, Yeovil (Pen Mill) or Maiden Newton. The 1962 Bradshaw shows 18 daily down trains (the last calling just after midnight) but only two on Sundays, one late afternoon and the other mid evening. In the up direction there were also 18 weekday trains with three on Sundays, one mid afternoon and two in the evening. The Halt remained little changed until 5 May 1969 when the 'Halt' suffix was dropped as part of British Rail's new corporate identity programme. The station signs were replaced with new smaller black on white signs; these were screwed to the original running-in boards which had been painted black. The only other upgrading at the time was painting the GWR pagoda shelters black. By 1978 the corrugated iron shelters had rusted so badly that they were replaced with bus shelters. New station lighting was also installed, but Radipole had to wait a few more years before the original running-in boards were replaced with new steel supports for the signs. ceased to call at Radipole after 31 December 1983. 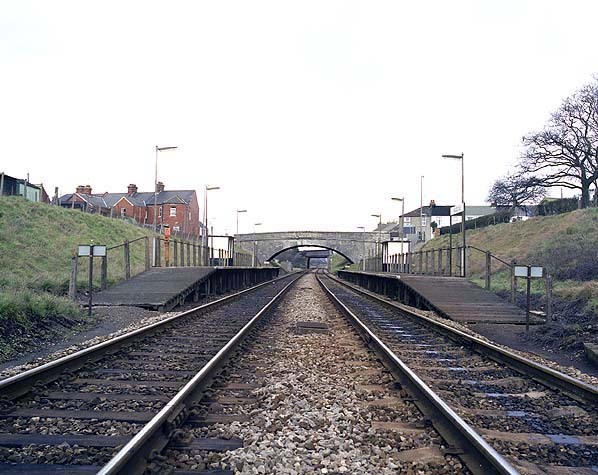 At the time, the Department for Transport was considering a proposal to withdraw passenger services from the station, and British Rail had stated that heavy expenditure on repairs was not justified whilst the station's future was in doubt. Consent to closure was received in January 1984, and the official date of closure was 6 February 1984. The station was quickly demolished. The reason for promoting the line was primarily for freight, anticipating the commercial development of shale oil deposits and stone at Portesham, as well as iron ore at Abbotsbury which would be shipped to South Wales for processing. 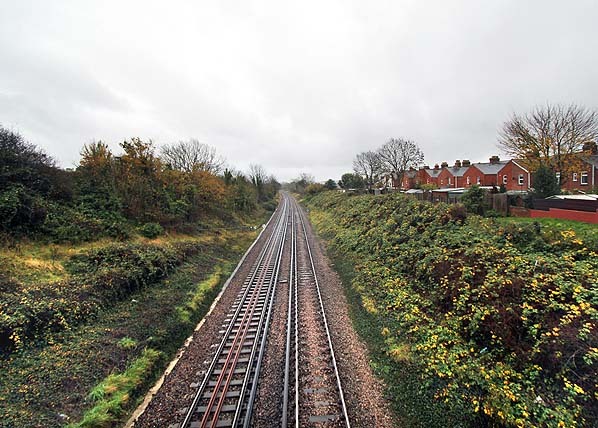 It was also suggested that the branch could be extended westwards to Axminster and Chard Junction, providing a direct line to Weymouth from the west for cross-channel traffic. A Bill was put before Parliament, but was withdrawn in 1873 as a result of staunch opposition by a prominent local landowner. A second Bill was prepared and went before Parliament during the 1876/77 session. This time the Bill was successful, and the Abbotsbury Railway Company was incorporated under the Abbotsbury Railway Act on 6 August 1877 to construct various railway lines to and from Abbotsbury. to the branch between Broadway and Portesham on 1 May 1906. The rail-motors were intended to stimulate traffic on branch lines, where small and cheap platforms could be built to serve small traffic sources. Unfortunately the lightweight rail-motors could not cope with pulling trailers on hilly lines. After a few years, they were converted into auto-coaches, and the power units were scrapped. Push-and-pull auto trains offered most of the benefits of rail-motor, but because they were operated by 'proper' locomotives they were much more flexible in operation and easier to maintain. The locomotive remained coupled to the carriages and pulled them to Abbotsbury and then pushed them back to Weymouth. the 9.50am down service and the 10.25am and 5.35pm up services as suspended. It also shows an 11.20am Monday - Friday down freight service returning to Weymouth as a mixed service at 1.20pm. Friar Waddon milk platform is also shown. This small platform at the two-mile point of the branch, between Upwey and Coryates, opened in summer 1932, was used to serve the local dairies and even had a Sunday train to get the milk to markets early on Monday morning in the days before domestic refrigeration was common. The platform closed with the line. 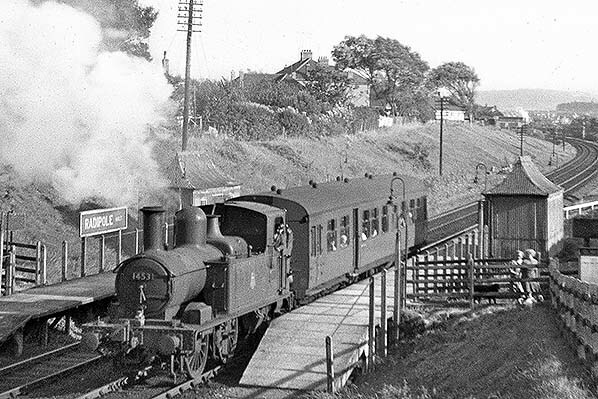 Additional traffic was brought to the branch in 1935 when camping coaches were placed at Portesham and Abbotsbury stations; Upwey received one the following year. 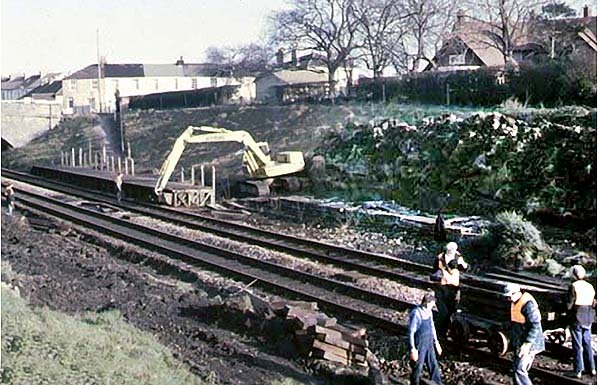 Track improvements were carried out in 1937/8 when standard GWR bullhead rail replaced the original flat-bottomed rails which had been spiked directly to the sleepers. Bridport and Easton branches to the Southern Region. 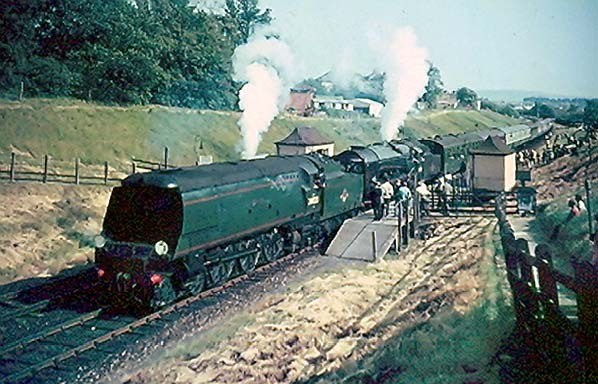 However the Castle Cary) to Weymouth, existing operating arrangements were continued, with the Western Region providing the passenger train services and showing them in its regional timetable. The Southern Region passenger timetable for winter 1951/2, for example, did not include the Abbotsbury branch. The Easton branch was particularly vulnerable to bus competition as it was paralleled by a main road for most of the way to Portland. 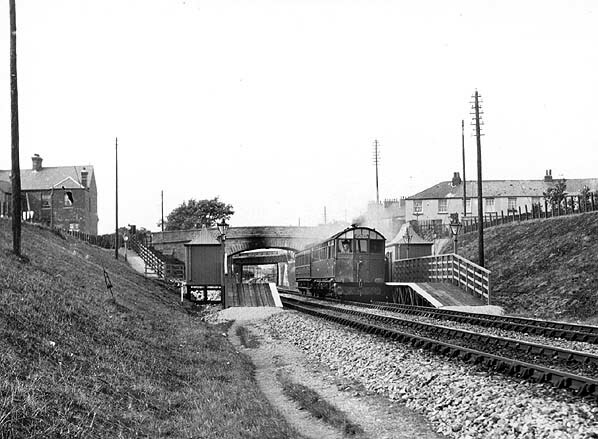 Apart from the Bridport - West Bay route, the Easton branch was the first Dorset line to close to passenger traffic (on 3 March 1952) but it was retained for goods traffic. The Abbotsbury branch was also vulnerable to competition from buses, the more so because of the indirectness of a journey to Weymouth and the inconvenient siting of the station at Abbotsbury, some distance short of the village. A further disincentive to use the trains was that they made leisurely progress along the line, limited to 40mph, but with a 25mph restriction west of Portesham and 10mph ¼-mile east of Abbotsbury. Broadway, then Broadwey) remaining open for another nine years to serve the goods depot at Upwey. It was built there because the position of Upwey Junction station on the embankment leading to Bincombe Tunnel had always made that station unsuitable for handling goods traffic. Tickets from Michael Stewart, Bradshaw from Chris Hind and BR WR timetable Chris Totty. Route map drawn by Alan Young. One of Churchward’s GWR steam rail-motors is seen in the down platform at Radipole Halt before 1910. 1924 1:2,500 OS map. Radipole Halt is shown in a deep cutting with access paths toeach platform from Spa Road. There is also a path to the south end of the up platform from a footpath running along the top of the cutting. A northbound auto-train, probably bound for Abbotsbury, leaves Radipole Halt in the early years of the 20th century. The loco is 4803, a GWR 0-4-2t built at Swindon works in September 1932. Renumbered 1403 in 1948, it was withdrawn in November 1957 from 82F, Weymouth shed and cut up at Swindon works in January 1958. 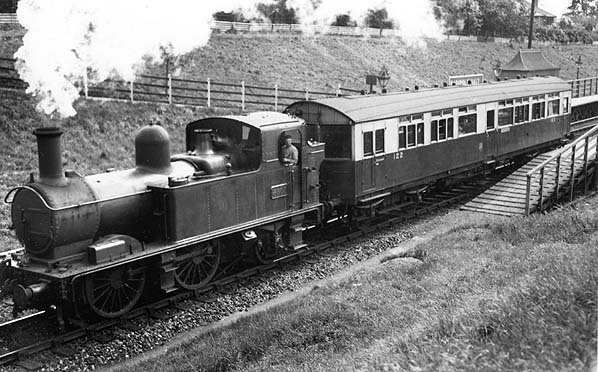 These 14xx class locos were a common sight with their auto-coaches on GWR branch lines, sometimes working sandwiched between two auto-coaches. 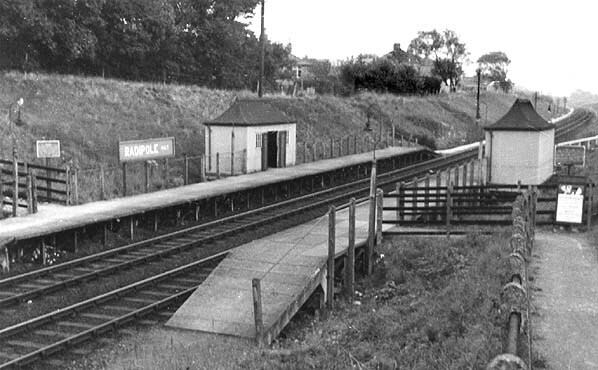 Radipole Halt, looking north from the path to the south end of the up platform in 1950. 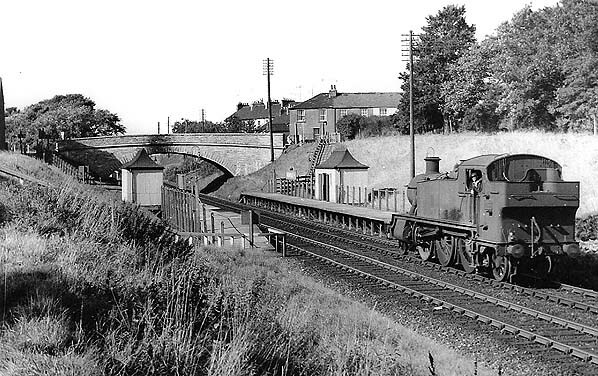 A northbound servivce waits at Radipole Halt c1959. 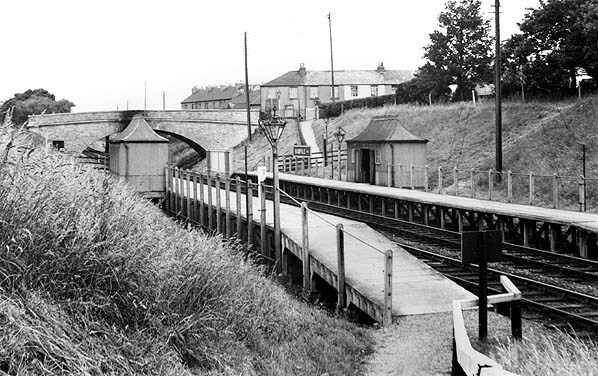 Radipole Halt looking south from the path to the north end of the up platform from Spa Road c1960s. An ex-GWR Large Prairie tank running light through Radipole Halt in August 1960. This class 4 loco was at home on freights or nippy suburban passenger workings. 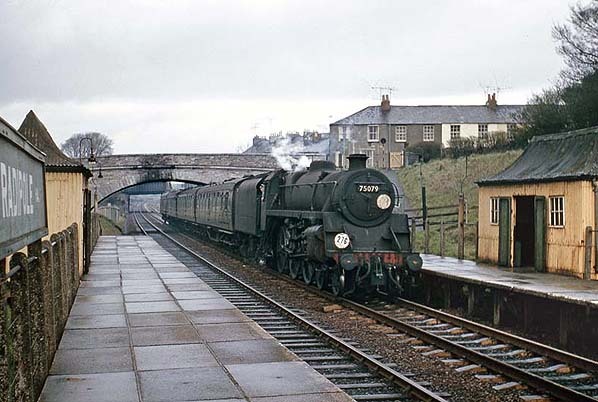 A southbound train from London to Weymouth steams through Radipole Halt in April 1966. 75079 entered service in January 1956 at 72A, Exmouth Junction shed. Built at Swindon works to the popular Riddles Standard Class 4 design, it was the last of a class of 66. This loco moved to Basingstoke shed in June 1956 and on to 71A, Eastleigh shed on 1 April 1963, from where it was withdrawn in November 1966 to pass into preservation. It currently resides on the Watercress Line in Hampshire where it is undergoing a five-year restoration programme costing £180,000. RCTS ‘Farewell to Southern Steam’ railtour at Radipole Halt on 18 June 1967. The tour ran from London Waterloo to Weymouth via Fareham returning to Waterloo via Southampton. It called at Radipole Halt in both directions. Seen at the front is 34023 which entered service as 21C123 and was named Blackmoor Vale in February 1946. Built at Brighton works to Bullied's West Country design, it was renumbered in 1948 to 34023 and in April 1950, it had its name slightly changed to Blackmore Vale. Withdrawn in July 1967 from Nine Elms shed, it has survived into preservation. It resides on the Bluebell Railway in Sussex and, after full restoration, it is their flagship locomotive. At the rear is 34108 which was built at Brighton works and entered service in April 1950. This Bullied West Country Pacific was rebuilt at Eastleigh works without its air smoothed casing in April 1961 and lasted in service until the end of June, 1967. Just after this picture was taken it was withdrawn from Salisbury shed and cut up in October. Both of these locos have had their nameplates removed, indicating impending withdrawal, although 34023 was to last another 12 months. 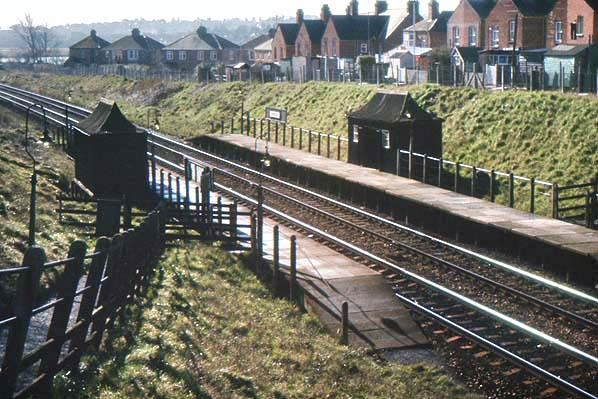 Radipole seen from the access ramp to the down platform in March 1974. As part of British Rail's new corporate identity the station signs have been replaced with small signs on the old boards and the waiting shelters have been painted a drab black. Gas- lighting was not renewed at this time. The station lost its 'Halt' suffix on 5 May 1969. The up platform at Radipole in March 1964. Radipole station looking north in March 1983. The station lighting and signs have now been upgraded, and since 1978 the old GWR pagoda shelters have been replaced with modern bus shelters. Trains stopped calling at Radipole nine months after this picture was taken - because of the poor condition of the platforms - and the station was officially closed on 6 February 1984. Radipole being demolished a few weeks after closure. Looking south at the site of Radipole station from Spa Road bridge in November 2012.